Everything you need to know about the Hyatt brand in Australia. From the team at Australian Traveller magazine. There are numerous Hyatt Hotels in Australia. The best Hyatt are hotels are referred to as “Park Hyatt”, and the two Park Hyatts in Australia are in Melbourne and Sydney. Hyatt Canberra bills itself as “by Park Hyatt”, which means for all intents and purposes you can consider the Hyatt Canberra a Park Hyatt. 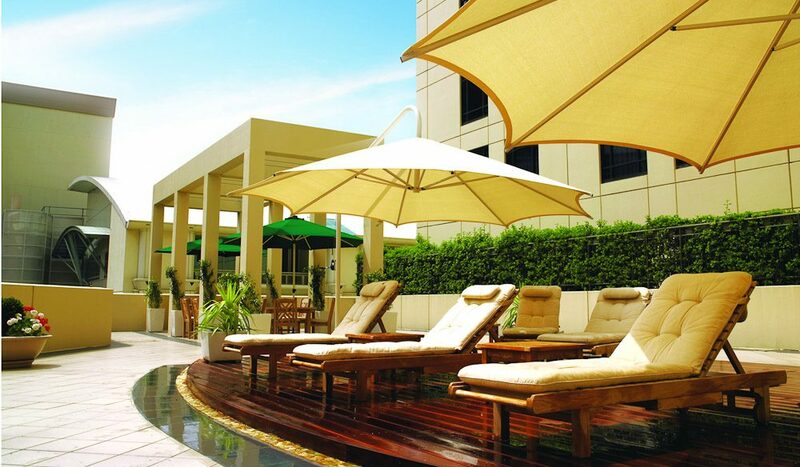 There are also Hyatt Regency hotels, which are considered more resort-style hotels. The Park Hyatt Sydney with it’s postcard position under the Sydney Harbour Bridge is considered the best of Sydney’s hotels. It’s the first choice for many overseas celebrities such as Elton John and the Chelsea Football Club. 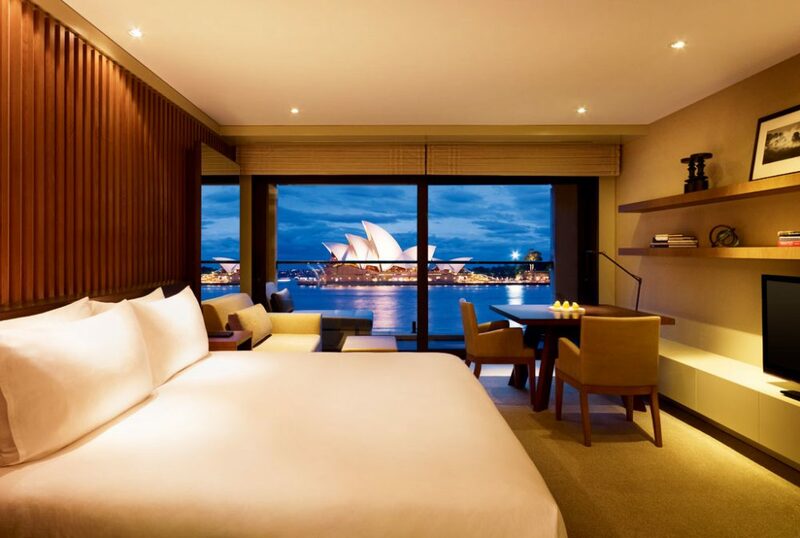 Having undergone a renovation in 2012, the hotel is now one of the beautiful in Sydney. 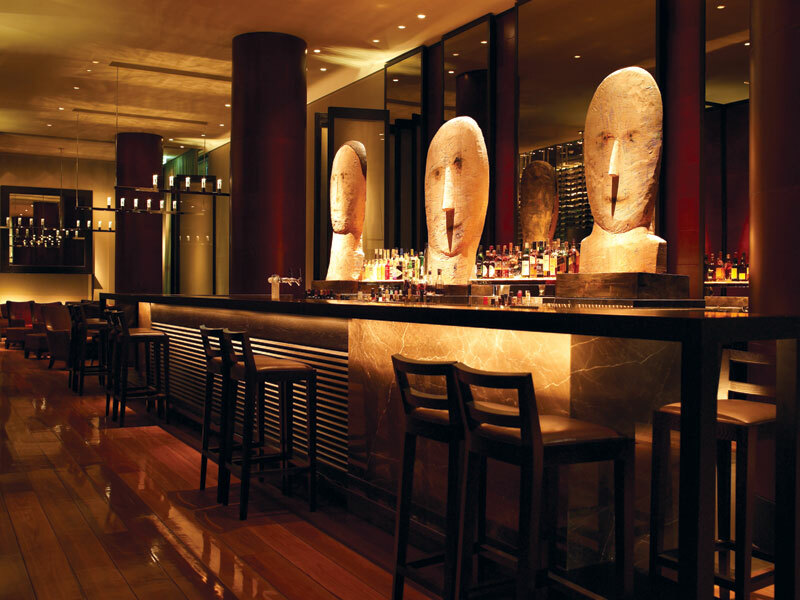 Our independent review of the refurbished Park Hyatt Sydney can be found here. Situated on Sussex Street in Sydney, the Hyatt Regency has an unmistakable ‘cool’ vibe attached to it – and for good reason. 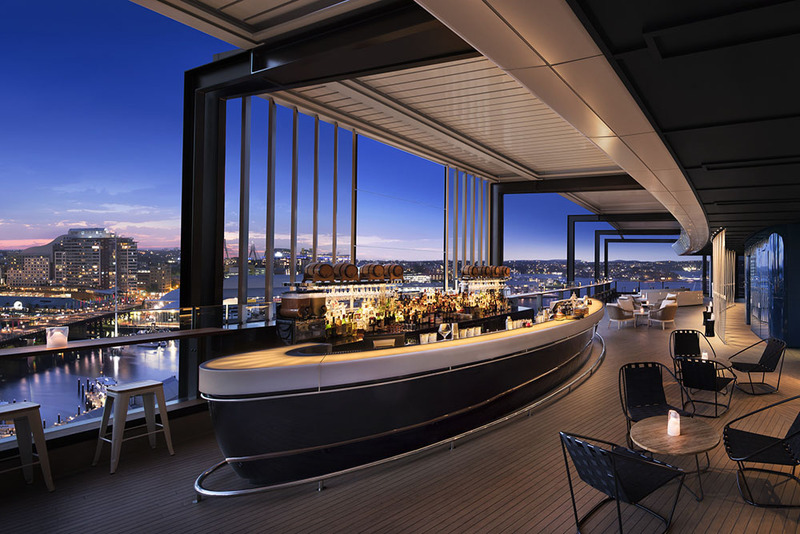 The hotel houses one of the best rooftop bars in Sydney, hello Zephyr Sky Bar. Overlooking stunning Darling Harbour, the hotel (and Zephyr Bar) is one of the most picturesque places to plant yourself. An outdoor oasis in inner-city Melbourne: the Park Club Health and Day Spa. This stunning hotel is the epitome of five-star luxury in the heart of Melbourne. Featuring an award-winning restaurant; radii restaurant & bar, here you can experience modern Australian dishes with an emphasis on the grill and wood-fire oven. The Park Hyatt Hotel Melbourne also has state of the art spa facilities and is just a four-minute walk from popular shopping precinct; Collins Street. It should be noted that the Grand Hyatt in Melbourne has recently been refurbished and does look a vast improvement. Their breakfast is certainly one of Melbourne’s best as is their lobby restaurant which is an experience in itself. The funky bar below the reception is a great city bar. 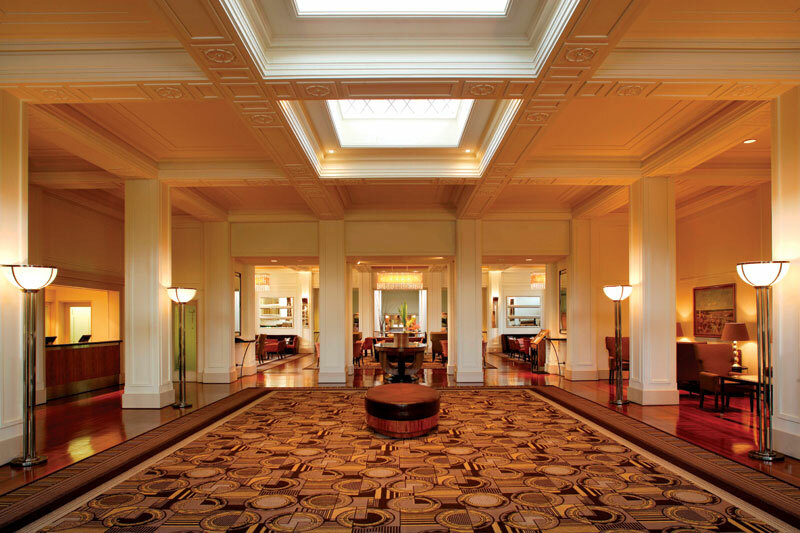 One of the most regal-looking hotels in the Australian Regency Hotel line-up, Park Hyatt Hotel Canberra interweaves the hidden mystique of the 1920s with modern Art Deco designs. The lush gardens and sleek, comforting interiors make it one of the most comforting stays you’re likely to experience. The last stop on any self-respecting rock tour of Australia, the Hyatt Regency Perth. In Australia, the Hyatt hotels with “Regency” in their name tend to be more resort type hotels, which more reflects the nature of their locations. 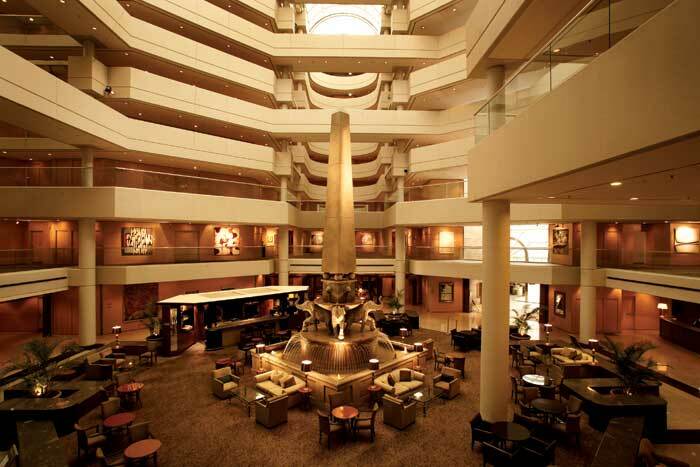 The exception seems to be Hyatt Regency Perth, which is more of a business hotel than a resort.